A Church dedicated to St James the Great has been on this site since the 12th Century. 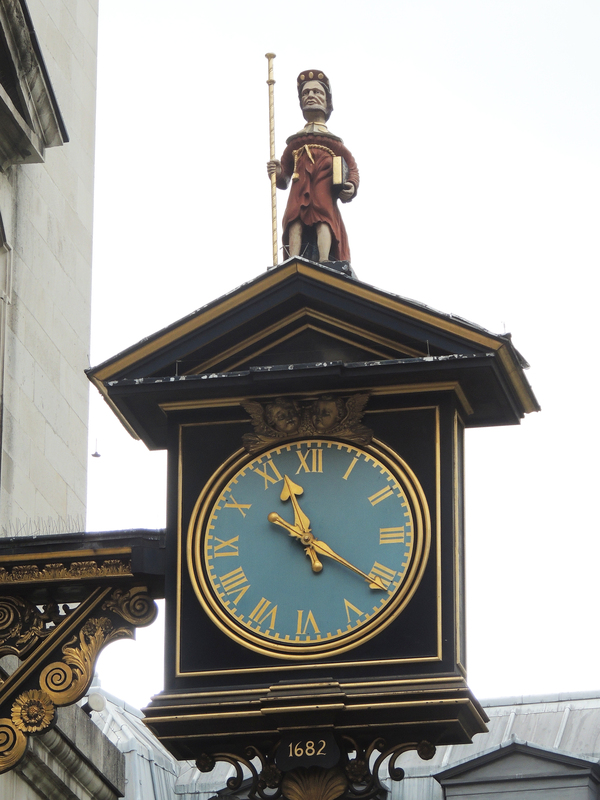 It has had a long association with city guilds and livery companies. The name ‘Garlickhythe’ probably comes from a nearby landing place where garlic was unloaded. In records it has a number of other names including ‘St James by the Thames’ and ‘St James in the Vintry’ – a vintry being a place where wine is stored suggesting that garlic was not the only commodity landed nearby. It was the burial place of 6 Medieval Lord-mayors. 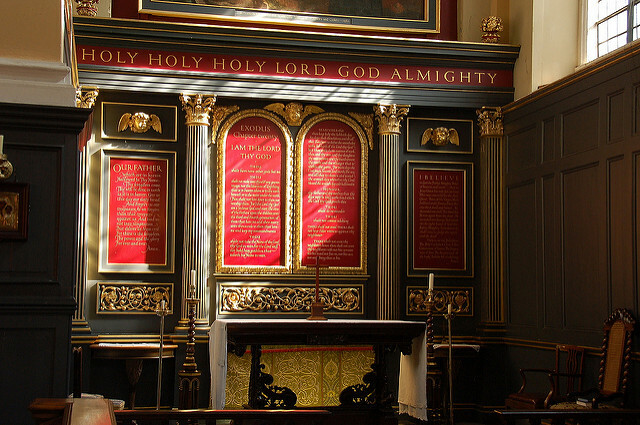 The Medieval church was destroyed in the Great Fire of London in 1666, but was soon replaced by a new church designed by Sir Christopher Wren which opened in 1682. 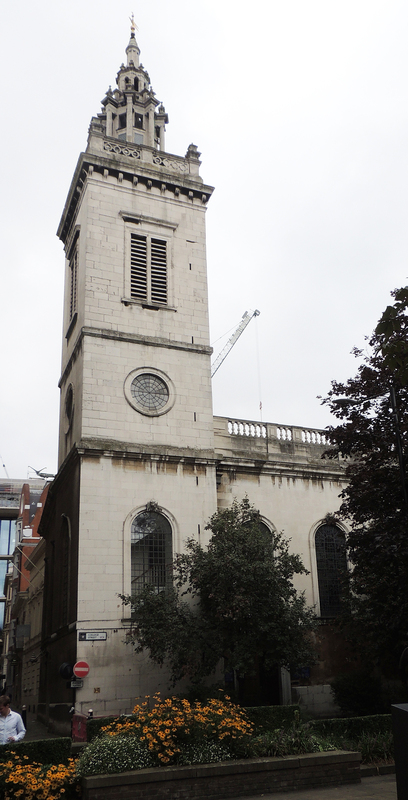 In 1717 a steeple was added to the tower. In May 1941 a bomb crashed through the roof, buried itself in the floor, but failed to explode. It was removed and detonated outside London. Despite this near escape the church did suffer external damage due to incendiary bombs landing nearby. 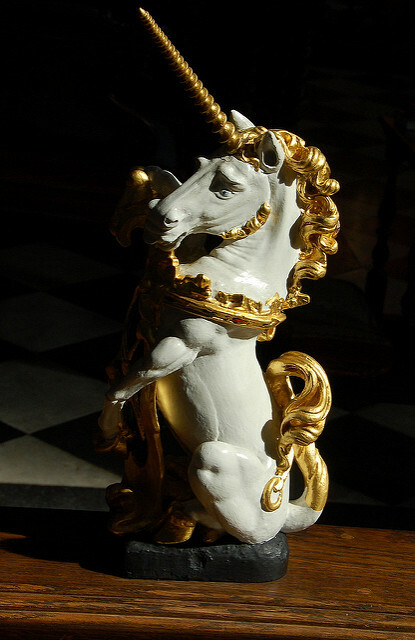 In 1953 it was discovered that it was a victim of Death-watch Beetle and this caused the church to be closed for 10 years until it could be removed and repairs undertaken. In 1991 a nearby crane crashed down on the building and damaged the south wall. 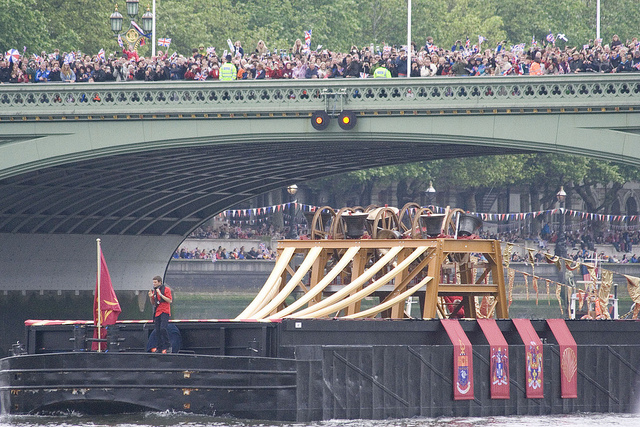 In 2012 a set of 8 Bells were cast in commemoration of the Queen’s Jubilee and took party in the Jubilee River pageant traveling down the river on a specially constructed barge.